Elma Brenner is resident Specialist in Medieval and Early Modern Medicine at the Wellcome Library, UK. Her research focuses on medical history and religious culture in medieval Normandy, and she is completing a monograph, Leprosy and Charity in Rouen, c.1100-c.1400. Meredith Cohen is Assistant Professor in the Department of Art History at the University of California, Los Angeles (UCLA) and the President of the International Medieval Society, Paris. Her research interests include medieval architecture, sculpture and urbanism, as well as nineteenth-century medievalism, particularly in France. 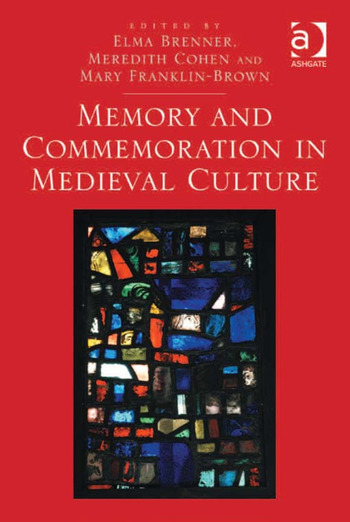 In addition to her publications on the Sainte-Chapelle and medieval Paris, she has co-edited the anthologies Difference and Identity in Francia and Medieval France (2010) and Space in the Medieval West: Places, Territories, and Imagined Geographies (forthcoming) for the International Medieval Society, Paris. Mary Franklin-Brown is Associate Professor in the Department of French and Italian at the University of Minnesota, Twin Cities. She has published on Old French romance, the troubadours and encyclopedism. Her monograph, Reading the World: Encyclopedic Writing in the Scholastic Age, was published in 2012.